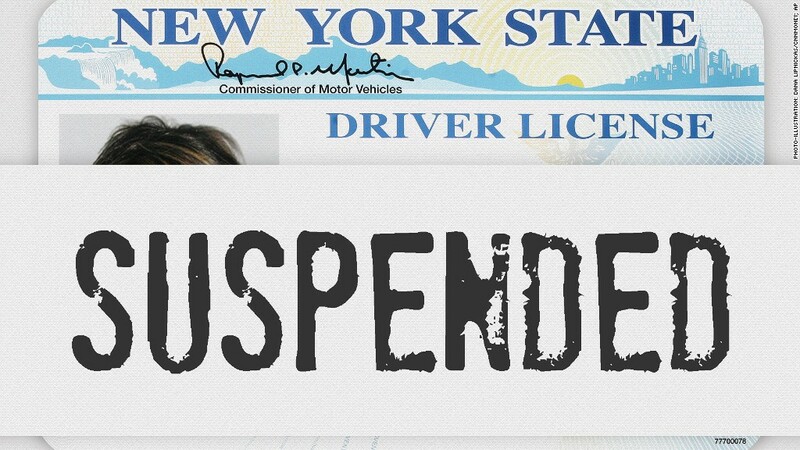 New York recently joined a small group of states that threaten tough actions, including driver's license suspensions, to compel delinquent taxpayers to pay up. New York is known as an aggressive state when it comes to tax collection. And it's about to get tougher still. The state is creating a driver's license suspension program aimed at those who owe at least $10,000 in back taxes and who have exhausted all appeals. "16,000 Tax Scofflaws Put on Notice," an announcement from Gov. Andrew Cuomo warned earlier this month. License suspension could be a very effective way to get laggards to pony up. People rely on their driver's licenses not only to drive -- say, to work -- but as a form of identification for travel, to prove residency and even to buy a drink. But is it really fair? It is if you really owe the money, and the time for disputing the charge is over, said David Brunori, deputy publisher of Tax Analysts. "Holding your feet to the fire is not necessarily crazy." As a self-described libertarian, Brunori is no fan of government. But he explains his position this way: "Getting a license is a privilege. It's not messing around with a constitutional right." Quiz: Which state has the highest income tax rate? New York will let tax delinquents work out a payment plan with the state if they're too strapped to pay everything in full. And anyone whose license is suspended may apply for a restricted license that would let them drive to and from work only. Seizing a driver's license is likely to be a less costly way for the state to raise money. Garnishing wages, imposing tax liens and seizing bank accounts are more difficult, intrusive and mistake-prone, Brunori noted. New York isn't the first state to suspend driver's licenses as a prod to get people to pay back taxes. But only a few others do, said Kathleen Thies, senior state tax analyst for CCH, a tax publisher. They include California, Massachusetts and Louisiana. Of them, Louisiana sets the lowest threshold in defining tax delinquency: A mere $1,000 in debt to the state puts not only your driver's license at risk, but a commercial business license and hunting and fishing licenses, too. And when you finally do pay up, you may also owe a fee to have your license reinstated. A number of states, including New York, have also resorted to public shaming. They publish the names of the biggest tax delinquents to coax them to pay what they owe. California, for instance, posts the names of the state's top 500 tax delinquents twice a year. To make that list, your tax liability has to exceed $100,000. And only if you're on that list are you at risk of losing both your driver's license and occupation or professional license. Plus, state agencies are prohibited from entering into contracts with you until you satisfy your debt.